Speech to Text is a process of converting speech into text. What happens when you fall in love with the wrong man? The story of a love triangle, Silent Moves explores the real challenges faced by people with disabilities in our society: freedom to work, make friends, fall in love, marry, move freely in the world and make their own choices. A film by internationally acclaimed visual artist Aideen Barry and artists of Western Care’s Ridgepool Training Centre, Scannán Technologies and presented by Ballina Arts Centre. Described by audiences as ‘the most amazing, thought-provoking, witty and emotional film I have ever seen’, Silent Moves is a simple story told in the way of old films, with slapstick comedy, pathos and humour. Inspired by the classic black and white silent films of Buster Keaton and Charlie Chaplin with a strong emphasis on movement and mime, Silent Moves is both moving and hilarious. The film will be accompanied by a live ensemble performing the film’s soundtrack at each evening screening, as well as unique ‘Meet the Makers’ post show discussions. Visual artist Aideen Barry collaborated with a group of twenty three artists with disabilities from two Western Care projects based in Ballina – the Ridgepool Training Centre and Scannán Technologies. Working alongside Aideen was renowned Dancer and Choreographer, Emma O’Kane. Shot on location in Ballina, the film carries a strong message about attitudes towards disability while being funny, moving and beautiful to watch. The film was launched last November at Ballina Arts Centre in front of a huge audience, and was shown a number of times during February of this year. Silent Moves was awarded a touring grant by Ignite, designed to support touring of work which was commissioned through Ignite in 2014. 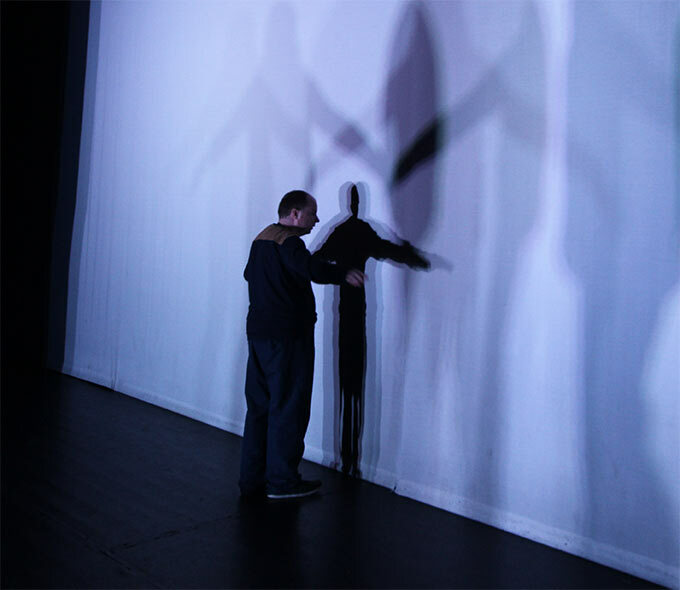 Silent Moves was commissioned by Mayo County Council as part of Ignite, a partnership between the Arts Council, Arts & Disability Ireland, Cork City Council, Galway City and County Councils, and Mayo County Council. Ignite is a new platform designed to generate Ireland’s most ambitious showcasing of talent from people with disabilities, led by international and Irish artists and performers with disabilities. 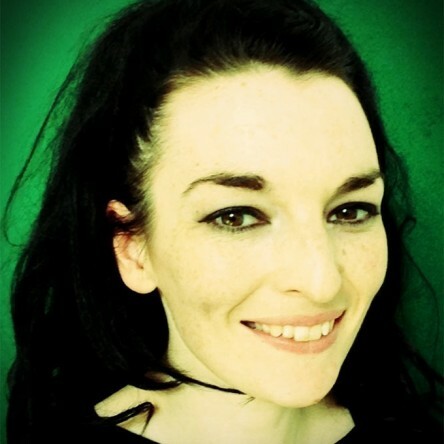 Aideen Barry is visual artist with a national and international profile, whose means of expression are interchangeable, incorporating performance, sculpture, film and lens based media. Barry recently showed a survey solo show at Royal Hibernian Academy entitled Brittlefield and will show at Project Spaces at the Irish Museum of Modern Art later this month. She is currently Artist in Residence at IMMA until the end of the year. She will present solo in 2017 in Block 336 in London and in 2018 at MARFA Contemporary Texas. She recently won the prestigious 2017 Lexicon Commission Award and Modern Ireland in 100 artworks by the Royal Irish Academy. The artist's works are in permanent collections at the Arts Council of Ireland, Art Omi Collection ( New York), NUIG Collection, Galway, Mayo & Dublin Council collections, the OPW and at the Centre de Art Contemporary, Malaga ESP. Barry lectures at Limerick School of Art and Design, and lives in the west of Ireland. She has experience collaborating with fellow artists with learning, intellectual or mental health disabilities: 2008: Collaboration with Carrowbeg Theatre Company, Westport, on the "Word's are my Prisoner" project 2009: Collaboration with Bee Hive and Scannan Technologies on the moving image project "Happiness". 2012: Collaboration with the Away With Words Collective, on the Jessica Casey & Other Works printed publication and video project. 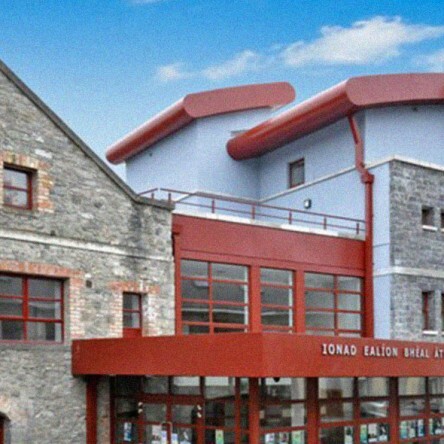 Ballina Arts Centre is based in Ballina Co. Mayo, Ireland. The town of Ballina has an urban population of up to 15,000 people, with an additional 30,000 in the hinterland. For a number of years, much work has been done to develop an arts centre for the town. In 2011, that goal was realised when the redeveloped Ballina Arts Centre opened its doors on Barrett St.
Ballina has strong traditional heritage, encompassing music and dance. This is augmented by a thriving culture of young rock bands and sing-songwriters. The development of Ballina Arts Centre, offers support to visual artists by the provision of a visual arts space, and a growing programme of artists’ workshop and masterclasses. For over six years, Ballina Arts Centre has made a concerted effort to advance the agenda of arts and disability through programming specific events and developing outreach programmes. Ballina Arts Centre has established an excellent working relationship with both Ridgepool Training Centre and Scannán Technology and had completed very successful, ambitious projects and ‘Silent Moves’ is quite naturally the culmination of all that work. In 2009 a group from Ridgepool Training Centre started to attend Art Workshops in Ballina Arts Centre. These workshops consisted of a variety of art forms, such as textiles, painting, drama, music and dance. This enabled the group to sample different mediums and therefore make an informed choice in relation to which medium they preferred, while developing new skills and talents. Over the past five years the Ridgepool Arts Group have completed many Drama, Music and Dance workshops and have performed in a number of productions. 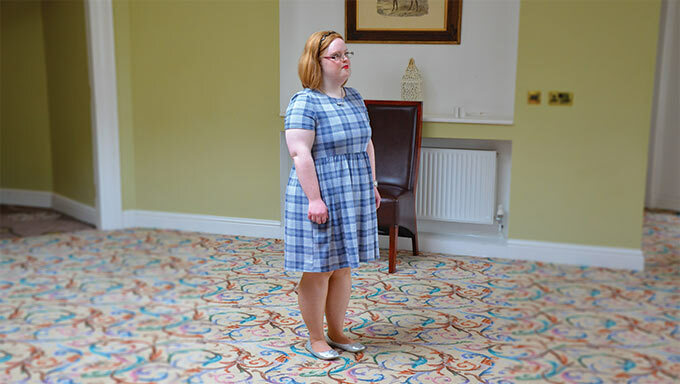 Their first production ‘The Fanciful Hotel’ was written and performed by the group and facilitated by Niamh McGrath, Actress and Drama Teacher and Mary Curran, Musician and Music Teacher. This was followed with the production ‘No Contest’ again facilitated by Niamh McGrath, a talent contest with a panel of judges (The Judges were puppets made in previous Arts workshops). The next production was called ‘Martino and Karenet’, a Ballina based Romeo and Juliet. The groups largest production to date was called ‘One Stage’ and was facilitated by Aine Egan, Artist and Dance Teacher. This production involved Dance, Music and Drama with the Ridgepool Arts Group and the Senior Dance Troupe from Aine’s company Danceworld. 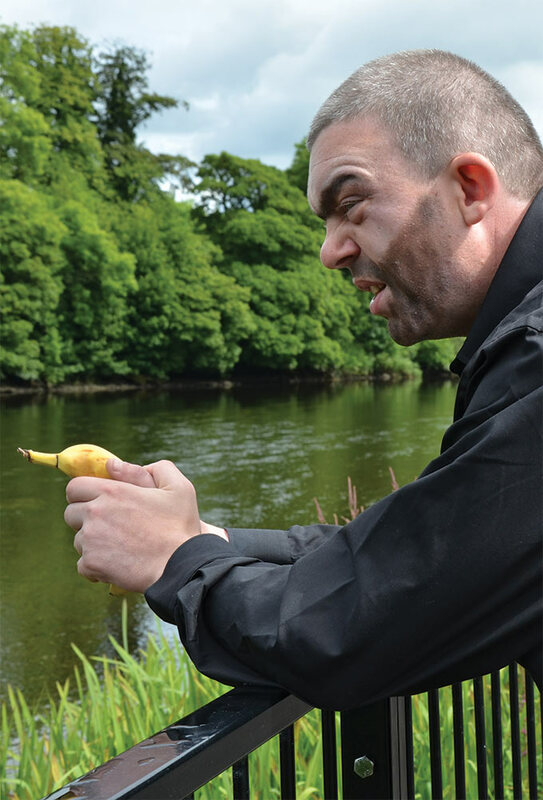 All of the productions have been performed in the Ballina Arts Centre in front of live audiences and the confidence of all participants has grown with each performance. The Ridgepool group are currently working on the Film ‘Silent Moves’ and are absolutely delighted to have this opportunity to be involved with the Ignite Project. This project has been very rewarding for everybody involved. Everyone has had the opportunity to have an input into the development of the story and creation of the characters. Scannan Technology has been in existence for about 11 years. The group consists of 9 Adults age 35-50 years of age. The group first started working in film with support from the Dublin Film Institute, where they received film training on two different occasions. The first film they produced was a short film called “Bread, Milk, Sugar and a little Respect”. In 2003, Scannan Technology had the opportunity to work with the Dublin Film Institute again and established a film group consisting of 6 Service users who had an interest in filmmaking and general technology. This group produced a film called “Raise your Glasses”. In 2005 the group and two staff moved premises into the centre of Ballina, where they could focus on filmmaking and independent skills. Since 2005 they have been working in close collaboration with Anne McCarthy and Damien O’Connor from the Mayo County Council Arts Office and Sean Walsh from Ballina Arts Centre. They have received a lot of support throughout the years from Mayo County Council Art’s Office for training in the use of Final Cut Pro, a professional editing program and various other projects. They have also received training on two occasions from the Galway Film Institute who have also given support in sourcing equipment. In 2009 Scannan Technology were invited to a workshop with the “Lawnmower” Group, funded by Mayo County Council Arts Office. The group have been working on small documentaries within the local community and have been working closely with different groups from Ballina. With the Mayo Volunteer Centre, they produced a small documentary about the local “Give it a swirl Day” and the Lions Club, who have organized a day out for children with disabilities from the local schools. They produced “Making a Will and Setting up a trust Fund” for people with Disabilities, which has been helpful to many family’s around the Country. They produced a Documentary with the Parkside Project in Ballina, called “ The Effects of early School leaving on our Lives ” ,which discusses the effects of early school leaving on the young traveller community in Ballina. In 2009, in conjunction with the Ballina Arts Centre and Stephen O’Brian, a professional Filmmaker from Westport, Scannan Technology produced a 15min film called “Tom and Mary”. This involved teaching the group how to make a short film from start to finish: creating a Story line, sourcing locations, organizing props, working closely with local groups and businesses. The group learned more about camera angles, shooting different scenes, lighting, cutting scenes and editing. In 2011 ‘Tom and Mary’ was screened as part of Abara, Ireland’d first Disability Film Festival at axis: Ballymun in Dublin. In 2010 the group got the opportunity to work with Aideen Barry on an animated short film in conjunction with Galway Film Institute, Ballina Art Centre and Mayo County Council. With Aideen the group learned basic animation techniques with a variety of materials such as sand, Plasticine, paper clothes and drawings. The group continues to learn about animation and the different techniques involved and hope in the future to be able to teach other community groups about filmmaking and animation. Scannan Technology are very excited about the opportunity to be involved with Ignite to produce another short film and add more experience and knowledge to their film making skills.